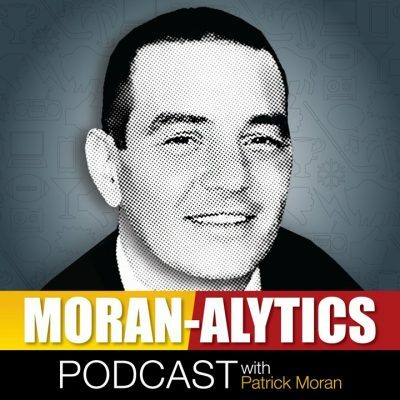 On this second episode of the Moran-Alytics Podcast, Patrick Moran interviews Buffalo News award-winning journalist/weekly radio sports talk host/college professor Tim Graham. They discuss the Baby Joe Mesi era—including the sometimes dirty politics of boxing, feeling downcast while writing for ESPN, returning to the Buffalo News to author life-impacting stories and add perspective to Tim’s gigs in both radio and the college classroom. Then Tone Pucks (@tonepucks) jumps on for their “Pat With Pucks” segment to talk quarterbacks and upcoming Bills decisions with EJ Gaines and Preston Brown as well as some Buffalo Sabres talk. — much to Patrick’s dismay. The Moran-Alytics Podcast ends with a few regular segments: MVP for one of the most successful movies to open in years, LVP to a NFL Hall of Famer who needs to ride off into the sunset and an edition of Terrible Tweets dedicated to one of the worst Bills fans.